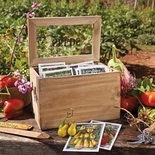 Harvested from the gardens at Monticello. The Anne Arundel Muskmelon was grown in Anne Arundel County, Maryland, as early as 1731, and was prominent in many still-life paintings of the famous Peale family of Philadelphia early in the 1800s. Anne Arundel appears to be a cross between a true smooth-skinned cantaloupe and a nutmeg-shaped muskmelon. 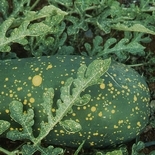 When ripe, it has golden yellow skin and sweet, green flesh with a flavor similar to honeydew. 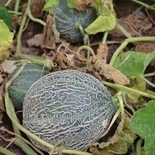 Seed for this melon was obtained from food historian, William W. Weaver. 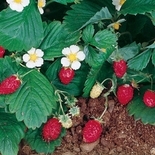 Direct sow seeds in hills or rows after the last spring frost; for hills, sow 6-8 seeds per 18�-wide hill, then thin to the best 3 plants per hill. To grow in a shorter season, start indoors 3-4 weeks before last frost. Approximately 14-20 seeds per packet.